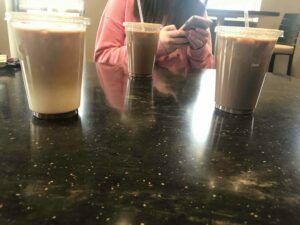 The Verve Team spent Saturday and Monday trying the coffee options in Vermillion. 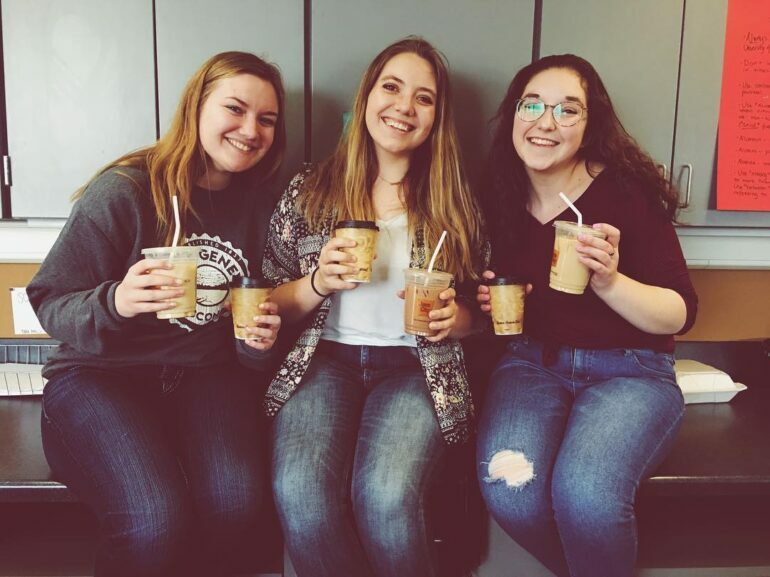 (Left to right) Ali Boysen is the Verve Assistant Editor, Lauren Soulek is the Verve Editor and Sara Cappiello is the Verve Designer. They decided their favorite coffee came from Latte Da. In this new section, the Verve Team — consisting of Lauren Soulek, Ali Boysen and Sara Cappiello — ventures out to try businesses, restaurants, products and trends so you don’t have to! This week, we ranked coffee shops around Vermillion. 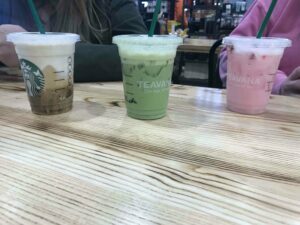 At each stop, we ordered a specialty drink, a recommended drink and a common drink college students enjoy: the caramel macchiato. We ranked the shops based on taste, presentation and atmosphere. Starbucks, the only chain in this list, came last. Their newest cloud macchiato tasted burnt and took home least favorite on our list. 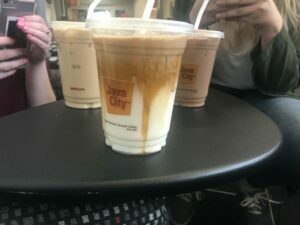 Since it is in Hy-Vee, it doesn’t have much of an ambiance and is a more grab-and-go coffee place. While Cafe Brulè has a welcoming atmosphere of a big city cafe, the pretty coffee wasn’t the most exciting. Their specialty drink didn’t have enough oomph, but their other two drinks hit the spot. Bru2 is one of the newest coffee shops in Vermillion and offers similar coffees to Cafe Brule, because they’re owned by the same people. While they tasted fine, they didn’t blow us away. Even though it’s a university coffee shop, UBrew has tasty coffee. This coffee is for those who don’t like it too strong, but even then you can request extra espresso shots. They offer a simple coffee that always hits the spot. The Bean is a fun, modern cafe that gives you the choice of peaceful studying or lively conversation with friends. Not to mention their drinks had beautiful designs and were tasty and flavorful. There’s a reason that they’re usually busy! 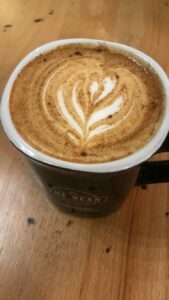 Latte Da is a hidden gem on Cherry Street that many don’t talk about. 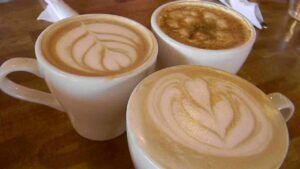 This little shop boasts numerous specialty coffees that are simply delicious. Plus, it’s a nice place to chat with friends or curl up and read a good book.